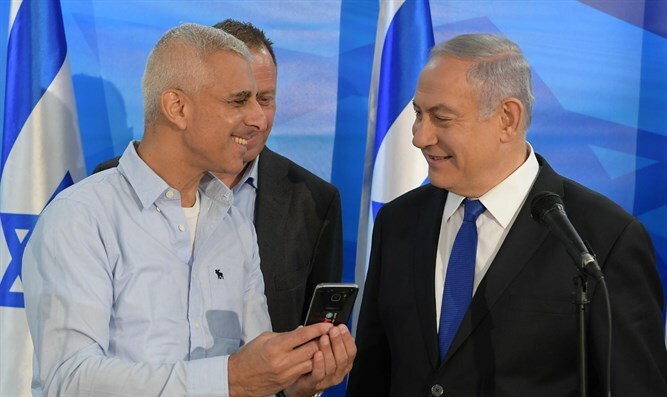 Prime Minister Binyamin Netanyahu met this morning with Intel CEO Israel Yaniv Garty, following Intel's investment in Israel in the amount of NIS 40,000,000,000. The meeting was held following the company's decision to set up a new plant in Kiryat Gat at an investment of NIS 40 billion. Prime Minister Netanyahu congratulated Intel CEO Garty on Intel's decision to invest in Israel. The Prime Minister said that the investment will contribute to the growth of the Israeli economy and to an important contribution to the economy and society. "Israel has become a global technological power. I'm proud that the government is leading this policy," Netanyahu said. Production plant Director Daniel Ben Atar presented a video showing plant workers excitement when the decision was announced. Prime Minister Netanyahu said at the meeting: "Intel is one of the leading technology companies in the world. I'm not sure that when Intel was founded they knew that they'd sing these songs in Hebrew in Kiryat Gat, in the plant that was built that will be the most advanced of its kind in the world. It won't only be research and development, it'll be manufacturing and exporting - it's a huge change. "What's most exciting to me is not only the addition of 1,000 workers, leading to thousands of workers who will receive employment in the State of Israel and of course in the Kiryat Gat area - this is the special program for absorbing young men and women from distressed areas and bringing them into the world of tomorrow. It's extraordinarily exciting. This is also Israel, the world's technological power, and Israel is also the economic and social power. It simply changes the country. "I'm proud the government is leading this policy. I'm proud that you're aware of the tremendous advantages of Israel, and I'm proud that you're leading a truly extraordinary move within the State of Israel and to lead it together. Well done". Daniel Ben Atar said: "I wanted to thank you personally, Mr. Prime Minister, for all the government's support for the new project and the presentation of the business plan we're currently submitting. It's very moving to us. There's one sentence we say in the factory: 'Together we're making history in the country.'"